The Council of Scientific and Industrial Research (CSIR) has undertaken an ambitious project to produce bio-fuel from fallen pine needles from Pine trees. The purpose of this pilot project is to meet India’s ever increasing energy requirements. Turpentine oil will be extracted from dry pine leaves or needles, which are rich in resin and have a high calorific value. The resultant waste would be used in making bio-fuel. A large area of Sikkim is covered by pine forests, especially Chir Pine. Around 1.5 million hectares in Jammu and Kashmir, Himachal Pradesh, Uttarakhand and Sikkim fall under the Himalayan subtropical pine forests. This belt stretches almost 3,000 km across the lower elevations of the Himalayas. Although Pine is the second largest planted tree species in India, deforestation has seriously affected it. CSIR’s Dehradun-based Indian Institute of Petroleum, is undertaking this project in collaboration with the Uttarakhand Government. Himachal Pradesh Government has shown an interest in the venture. 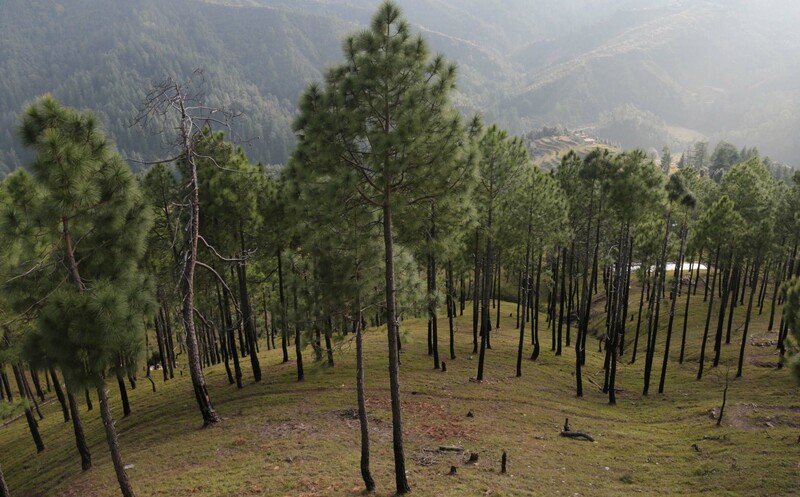 A company in Uttarakhand, has been using pine needles as raw material to produce electricity. Another cement factory in Himachal is using pine needles with other combustible elements as bio-fuel.